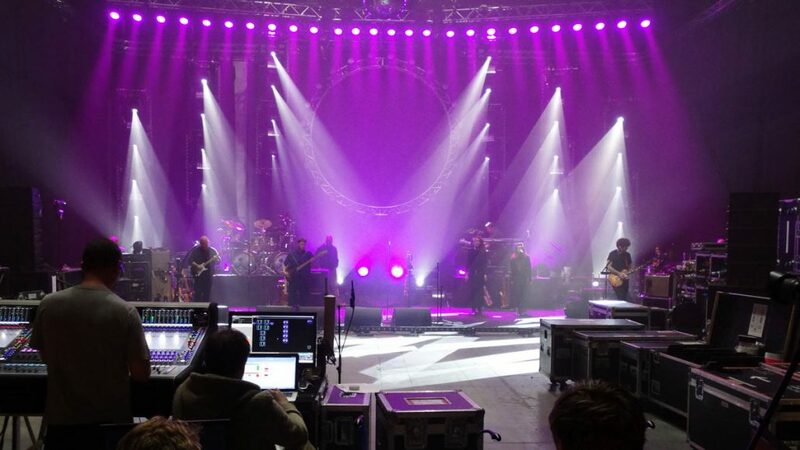 It’s 2pm on a cold and wet Saturday at Millennium Studios, and the unmistakable sound of ‘Comfortably Numb’ is gently wafting into the car park from an open door. Inside the cavernous ‘A’ Stage, the band in residence is The Australian Pink Floyd Show, the outfit that since the late ’80s has been steadily progressing and refining its sonic and visual recreation of the rock icons’ music to such a degree that even a die-hard fan of the originals could not fail to appreciate. 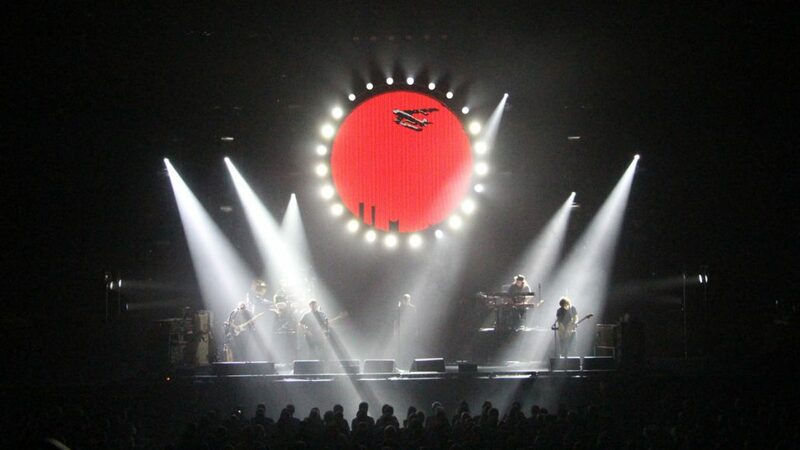 What began as a tribute band has gradually become a ‘mega homage’, bearing all the production values and technical prowess of a major arena attraction. 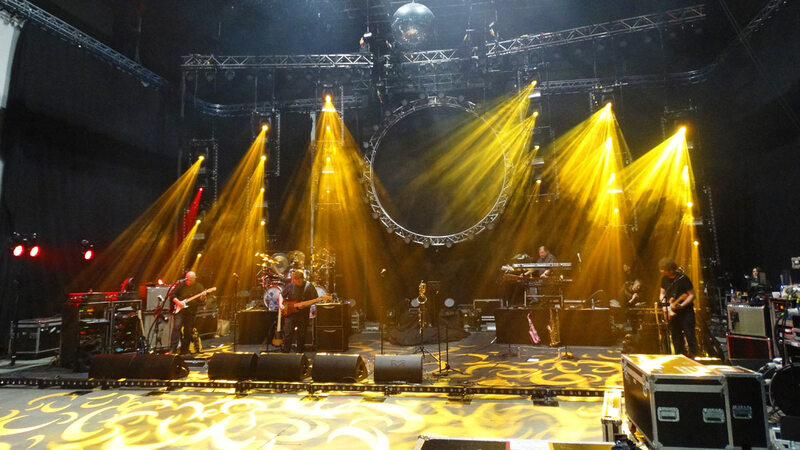 And in 48 hours from now, the ‘Aussie Floyd’ (or TAPFS) will load out of the Bedfordshire rehearsal complex and head over the Channel to the Zenith in Dijon, to play its first show of the year. 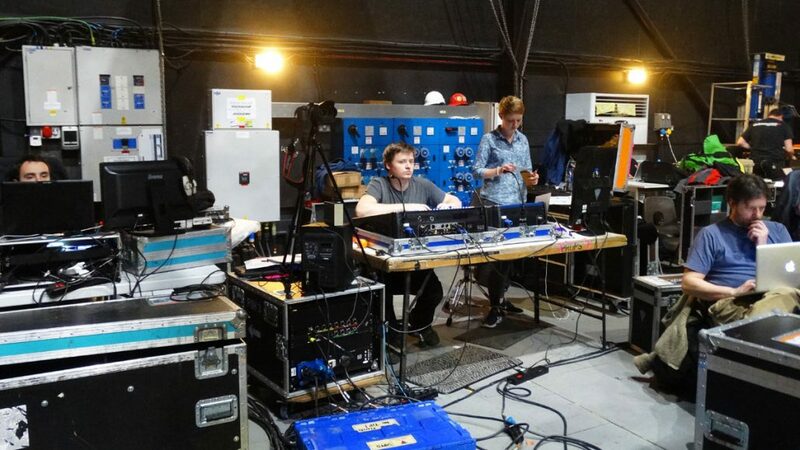 For the last 13 years, Entec Sound & Light has remained at the epicentre of TAPFS’ development, not only servicing the band’s production needs but also offering guidance. 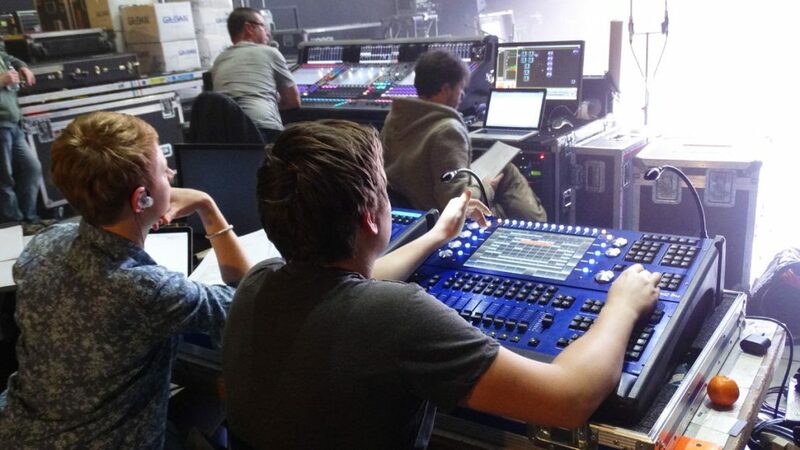 The 2016 tour – spanning Europe all winter and spring, then landing in the UK towards the end of the year – is the latest to benefit from Entec’s considerable lighting inventory and experienced crew, but the first to summon the talents of renowned production designer Rob Sinclair and lighting designer Louisa Smurthwaite who, together with TAPFS’ lighting director and programmer, Tom Mumby, have created the band’s first all-new show design since 2011. 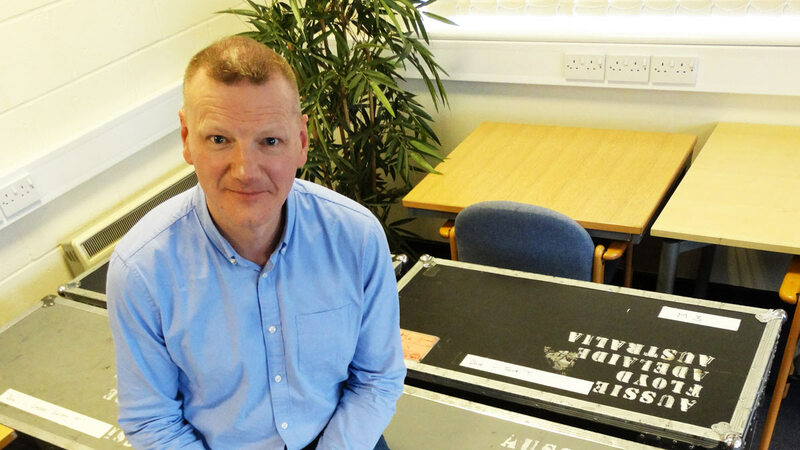 Adele, Queen + Adam Lambert, Peter Gabriel, Miley Cyrus and Mumford & Sons are among the many leading acts featured on Rob Sinclair’s enviable CV. 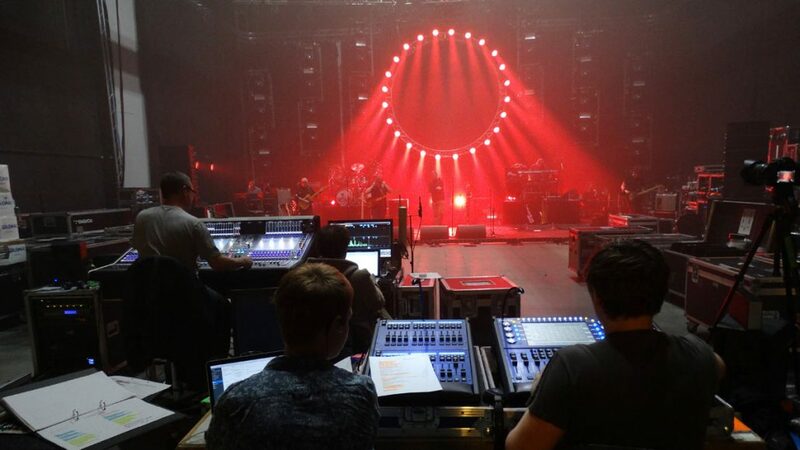 Together with Louisa Smurthwaite, he has most recently worked on tours by Kylie Minogue and Florence And The Machine (with Entec) and the latest TAPFS production once again reunites the pair. 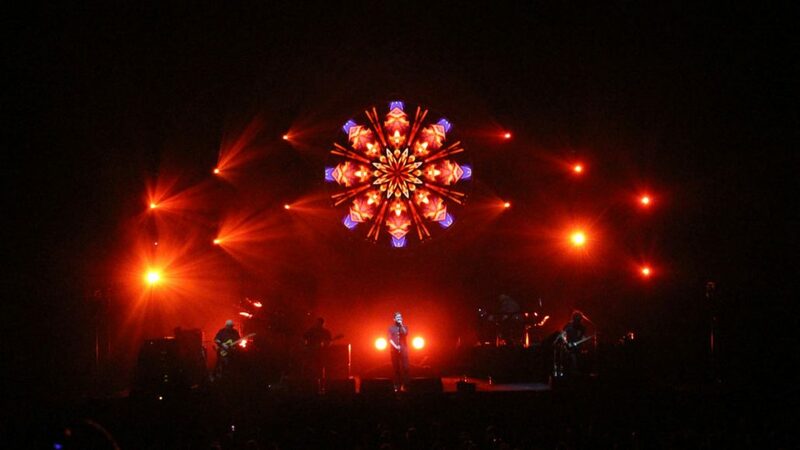 With support from Entec’s Noreen O’Riordan, Adam Stevenson, crew chief Tom Crosbie and lighting technician Klins Kanger, and tour/production manager Chris Gadd, the Sinclair-Smurthwaite-Mumby triumvirate sought to create a cleaner, more modern look from the lighting rig with Martin Mac Aura XB compact LED wash heads providing the backbone of the show. The front truss is now populated by Clay Paky Alpha Spot QWO 800s. 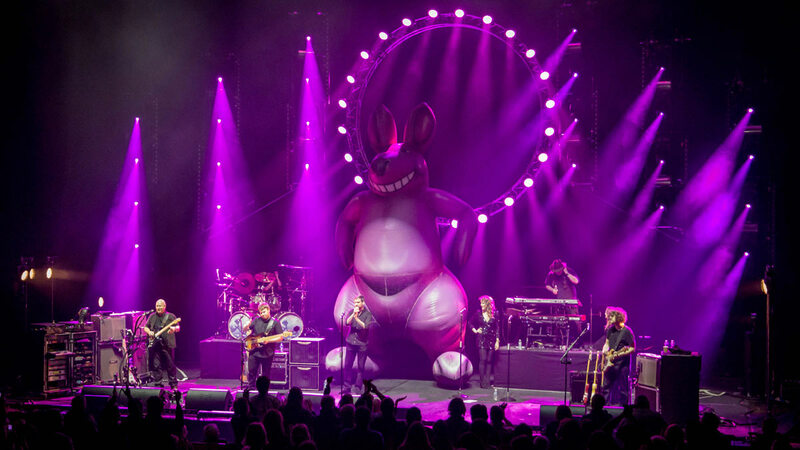 These are used to light some of the “fun parts” of the show, such as the inflatable pig and kangaroo, and the dancing Teacher, picking out these elements to help drive some audience emotion. 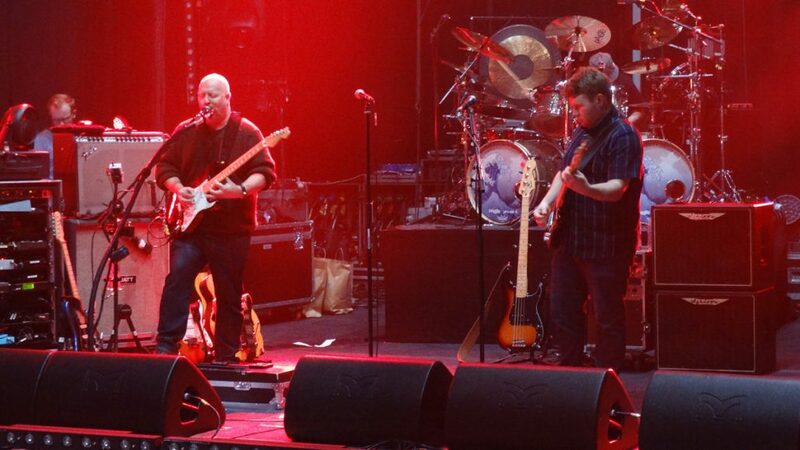 Familiar to many as Kylie Minogue’s long-time production manager, as well as gaining copious on-the-road experience with Mark Knopfler, Level 42, Toto and Jeff Wayne’s touring version of The War Of The Worlds, Kevin Hopgood first came onboard TAPFS around 15 years ago, as the band started to grow out of its UK-based theatre touring and perform in larger venues in Europe and North America. “They’d been used to touring in small bites whereas they were now doing it much more extensively,” he says. 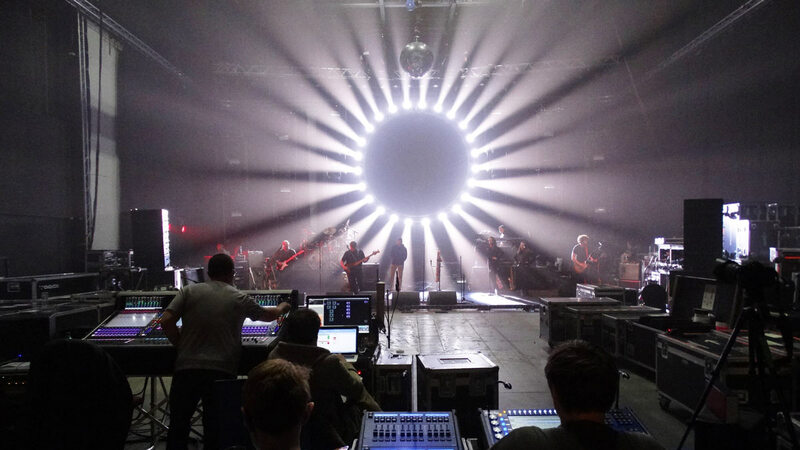 “I came in as tour manager to help with that transition and also deal with the production side while juggling work for my other clients, such as Kylie. When their previous management contact expired a couple of years ago, they asked me to step in and take over. It was my first foray into that side of the business but I jumped at it and brought in Paul Crockford who has a very substantial history in management [Mark Knopfler, Danny Thompson, etc] to share the responsibility. Kevin Hopgood was already part of the TAPFS team when Entec came onboard in 2003. “They’re very ingrained in our touring now,” he says. 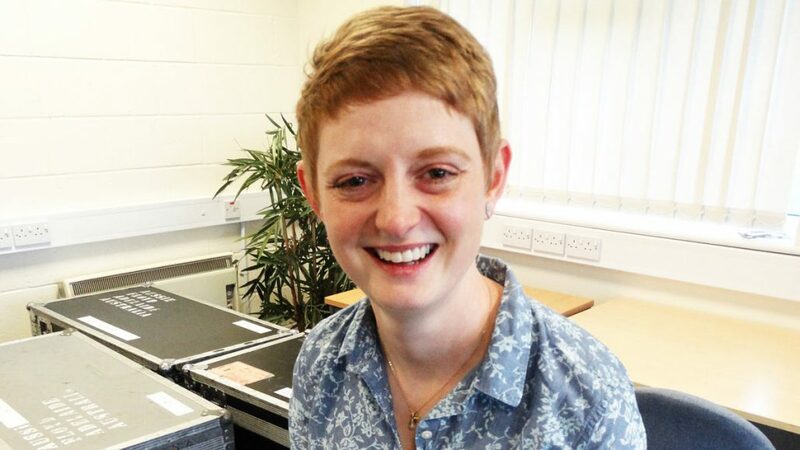 “We’ve never really looked anywhere else and have no plans to do so because the service has always been there. They are really good at working with us. Noreen and Adam Stevenson have always serviced this show. 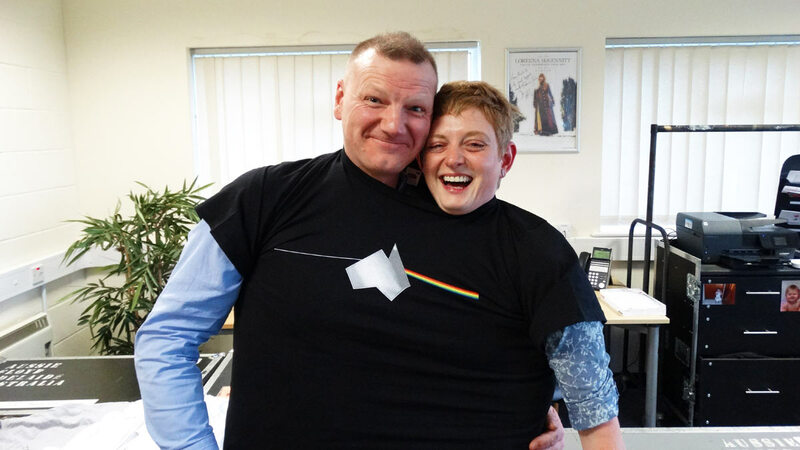 In fact, Adam was out on the road with us in the early days before he moved to an office-based position with the company, but everyone there is very intertwined with our show and we do feel very well looked after. They completely get it because it’s been so long. 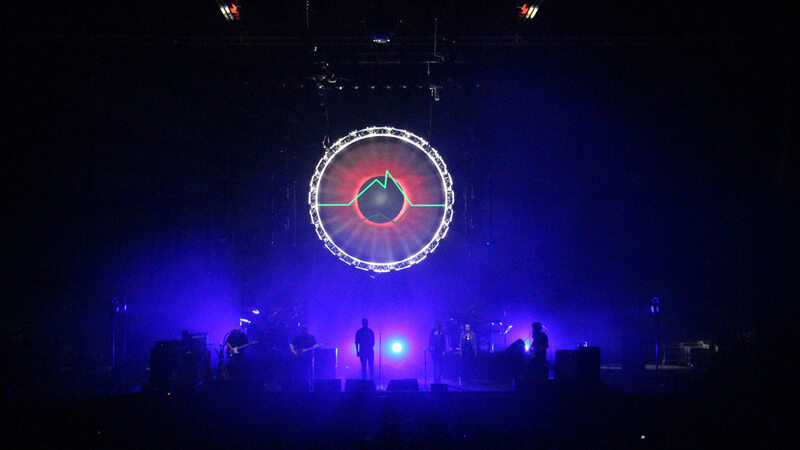 The Australian Pink Floyd Show’s 22-date UK leg kicks off at Birmingham’s Barclaycard Arena on October 14th.